Hello. My name is David Saltmarsh. 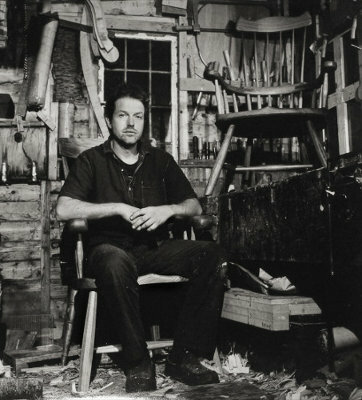 I am chair maker living and working in West Dorset on my family smallholding. I started off making straight copies of traditional windsor chairs. My chairs have evolved somewhat but I still aspire to the old styles and techniques. Power tool use is kept to a minimum and the machinery that I do use is powered by the wind and sun. The finished result is a chair that takes many hours to build and will last for generations.